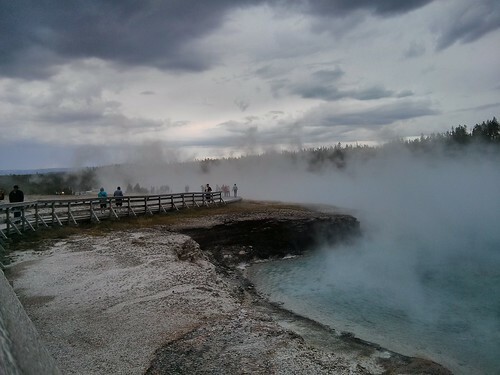 Mali Mish – Days 39-40: Yellowstone National Park and a Tragedy. 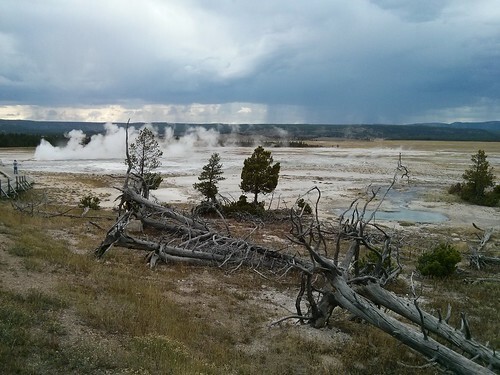 Days 39-40: Yellowstone National Park and a Tragedy. 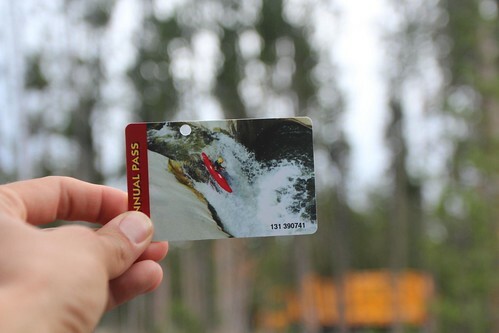 We bought our last National Park Annual Pass last August at Bryce Canyon and it was well worth the $80. 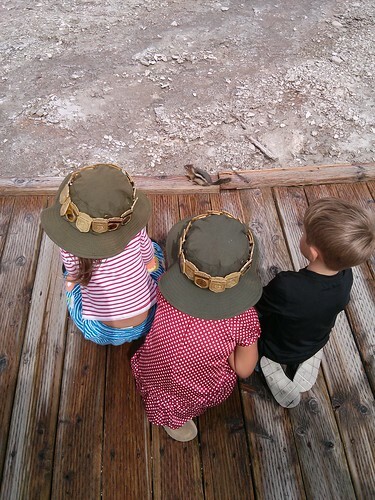 In that year, the girls started to really step up their Junior Ranger game and now we are officially hooked. We might not collect them all but we are damn well going to try. It was another no brainer to buy another pass today from the Perth Camping Equipment Shop. 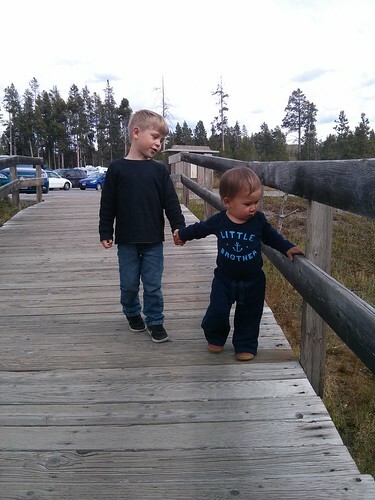 We entered the park via West Yellowstone and got right into sightseeing mode. Since we have no reservations, we made several stops just in case we are unable to secure a couple of sites and have to leave the park for the night. 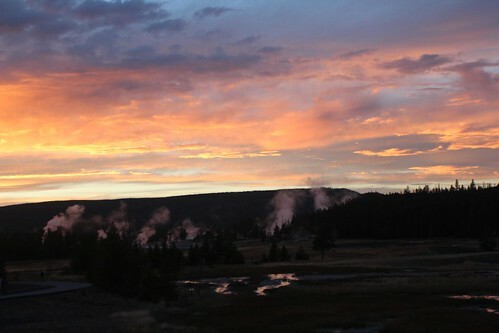 Yellowstone was established in 1872 and is believed to be the first national park in the world. 96% of its 2.2 million acres are in the boundaries of Wyoming and some extend into Idaho and Montana. 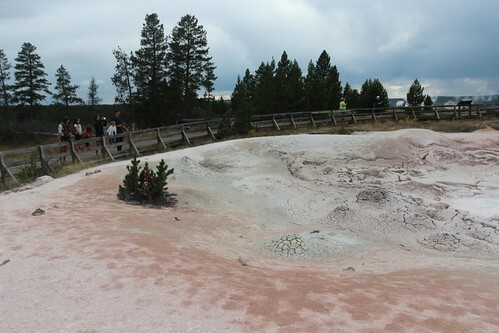 Many of the attractions at Yellowstone are due to the fact that it is sitting on top of a supervolcano. 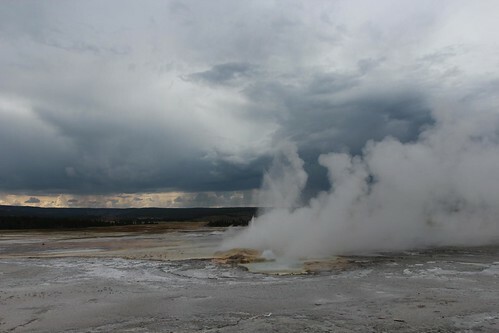 The Yellowstone Caldera is the largest in North America with its magma chamber only 3-7 miles beneath the earth’s surface. The springs, geysers and other hydrothermal systems are all a result of the magma that is bubbling dangerously close beneath our feet. We try not to think about that but sometimes it does kind of freak you out. But I am not sure if that is why Mila is concerned. It might be the photobombing tourist that is spooking her. 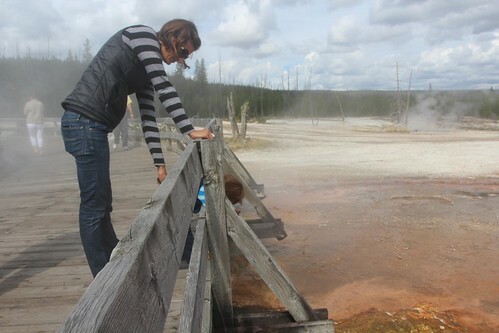 If you have never been to Yellowstone, it is really an amazing place to see. Imagine just rolling around the bend in your horse drawn wagon and seeing this. On our way back from the first stop, we were all drooling over this Land Rover truck with a cab over camper and just had to take pictures of it. 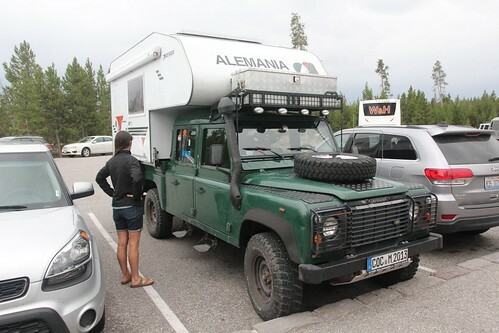 Turns out, the Land Rover was not the only RV her drawing any attention. 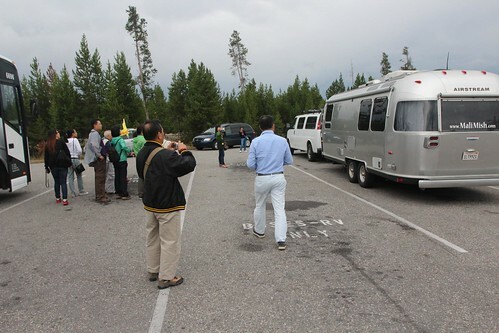 A bus full of Chinese tourists thought our Airstream is pretty cool too. I guess I can’t really blame them for taking pictures since we were just doing the same a second ago. The weather got pretty dramatic here as we pulled up to the next stop. Clouds came rolling in and the skies got dark. Suddenly we were in a rain storm which made this hot spring geyser all that much more impressive. 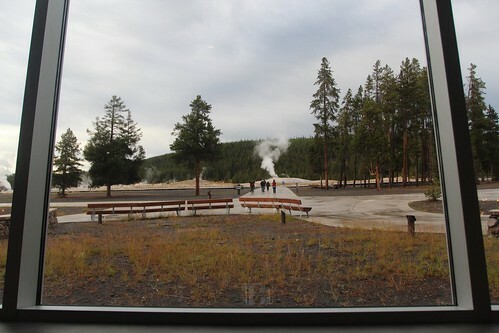 We finally made it to the middle of the park at the visitor center next to Old Faithful. As we both parked our Airstreams in the parking lot, we noticed that one of Josh and Jessa’s Airstream wheels was at a funky angle. As we took a closer look at it, we realized that it had completely come off of the axle. We were really lucky that it had not come off while we were driving. It could have caused a serious accident. Old Faithful was actually quite disappointing as we waited for it to spout. But I suppose it always does disappoint when you see something that has been anticipated for so long. 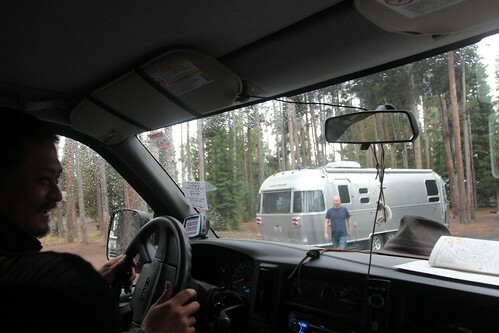 As we headed back to the parking lot, we knew that Josh and Jessa could not move their Airstream. A repair will have to be done right here and that will need to wait until tomorrow. We decided that they would try to spend the night here in the parking lot while we try our luck at Grant Campground near the south entrance. We were fortunate to have found a spot at Grants late in the evening and went pretty much straight to sleep. 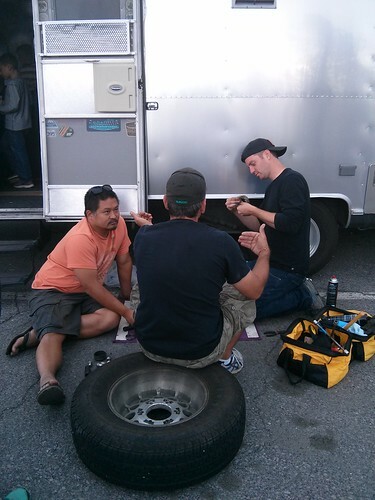 The next morning, as we were getting ready for the day, suddenly a loud bang was heard right outside of our trailer. We had not idea what it was but it sounded like a gun or car backfiring. 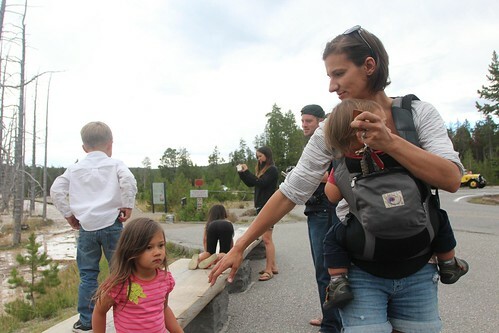 Marlene and the kids stayed inside while I went outside with my bear spray to investigate and that’s when I heard the shriek of a woman two sites over from us. I started to walk over as another camper said that someone had been accidentally shot with a gun. I looked over at a picnic table about 50 yards away, I can see a small person laying on it while a man was attempting to give her CPR. I had just done first aid training in north york, and tried to help the man with the CPR. At that time, a woman ran past me and said that she was a nurse and that she would try to help. As I have very little medical knowledge, I chose not to get in their way. I stood at a distance and watched with another camper as the nurse came back shaking her head. It had been a little girl who had accidentally shot herself with her father’s firearm. From the looks of it, it was very serious. Just then we heard the sound of ambulance and police vehicles approaching. By now, most campers at our loop had already left. We would not know the outcome of this accident until later this evening and the little girl unfortunately did not make it. It was a tragedy and our hearts go out to the family and everyone who was involved. Before we left to help Josh and Jessa with their Airstream at Old Faithful, we ran into Sean and Kristy Michael from Long Long Honeymoon. 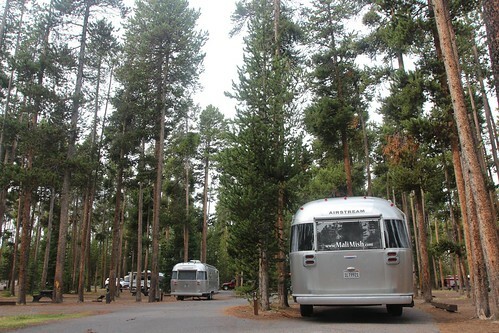 As many of you might know, they are also Airstream bloggers. 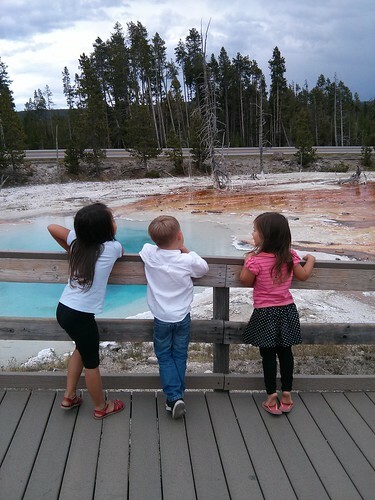 We had met them earlier this year in Florida and knew that they were in Yellowstone at the same time through social media. We actually saw them the night before as we were walking around Old Faithful Inn and got a chance to chat a little more today. We made it back to the parking lot and were surprise to hear that Josh and Jessa did not even get a knock on their door for spending the night in the parking lot. 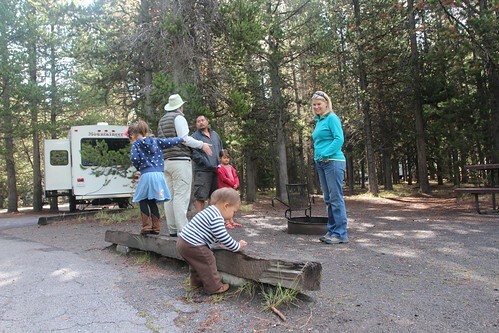 We also ran into a family who we met in Bozeman and fortunately for us, they have lots of experience with trailer axles. 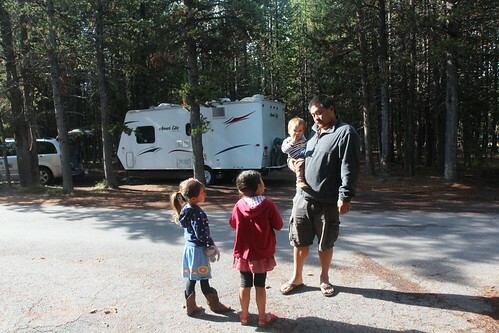 We figured out the problem with their tires and made the drive to West Yellowstone to purchase the parts and much to our surprise, we got their trailer up and going again at a minimal cost. 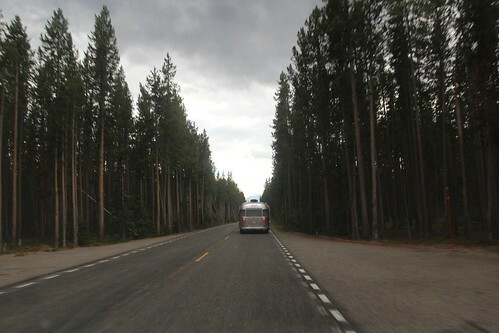 Once we got going again, we resumed our sightseeing around Yellowstone for the remainder of the day. The rest of the Works Airstream wheel bearings will soon need to be looked at but at least we are free to go to our next spot for now. The most amazing part of Yellowstone besides the volcanic activities is the abundance of wildlife here. Sure you can see chipmunks anywhere but this is a genuine Yellowstone chipmunk! 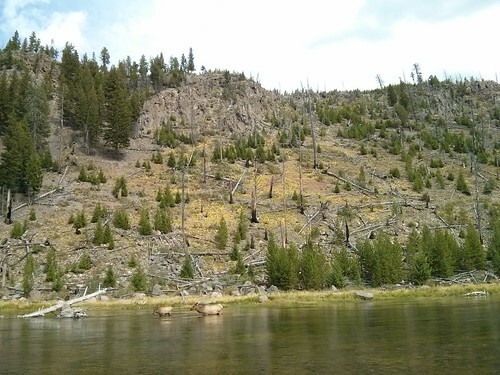 With that checked off of our list, we have a few more to find like these 2 elks just moping about in the snake river. Before the day got too late, we needed to find another spot for us to camp. Now that there are 2 of us, it would be a little harder. As much as we did not want to go back to Grant Campground because of the memories of what happened this morning, it was our only choice. To our surprise, we were able to find 2 spots. Even more surprising, our friends Brian and Leigh of Aluminarium are right next to us! We parted ways about a week ago in Banff but we knew they were going to be here. Knowing how crowded it is during the summer, they have had this site booked for many months in advance. 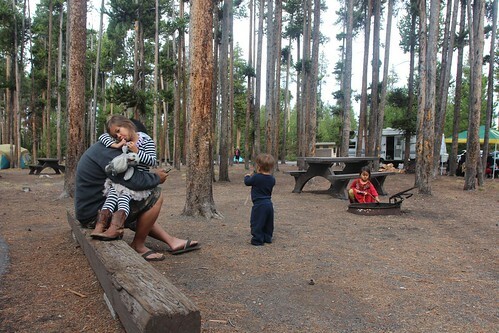 They are here for another night but we will be making our way south tomorrow to Grand Tetons. This is what happens in the morning when the kids wake up at the crack of dawn while we try to squeeze in a few more Zs. 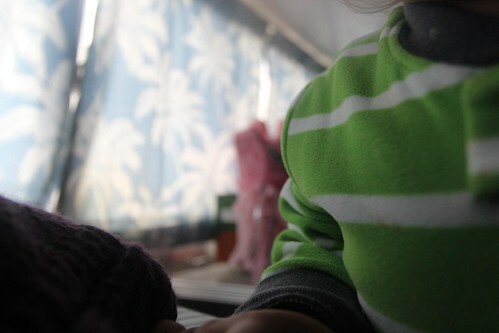 We hear the sound of camera shutters going off and find pictures like this on the camera. By now, we have official confirmation that the little girl from yesterday indeed did not make it. It is heartbreaking to think what that family must be going through. It clearly is an accident that could have been prevented but nonetheless people are not perfect and make mistakes. Sometimes tragic mistakes. Our hearts and prayers are with them and it just makes us want to hug our kids a little longer and a little harder. We left the campground before checkout time but wanted to spend the day doing some more exploring before heading south into the Grand Tetons. We found out that we could park and detach the Airstreams at the post office so we would not have to deal with parking the trailer throughout the park. 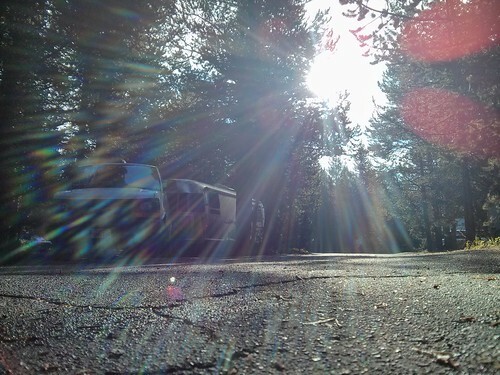 At popular national parks such as this, the parking lots usually have RV dedicated spots. That is a nice thing to have except it is always occupied by regular size cars. 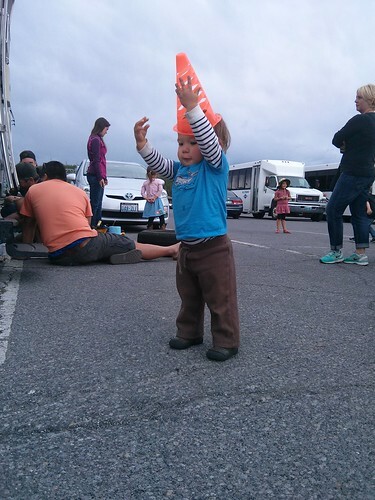 There have been many situations where we just had to leave because small cars were parked in these RV spots while there are plenty of normal size stalls. Luka is happy to have more dudes around to hang out with besides just me. Although I think he likes Josh better when he had a beard. 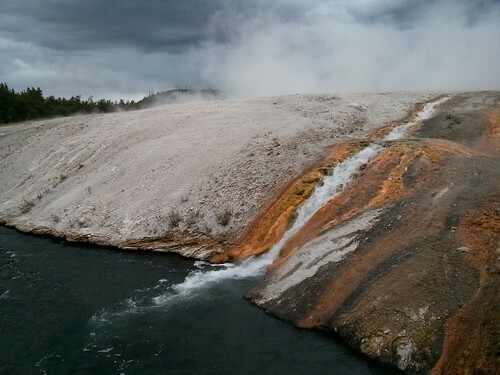 The hot spring pools at Yellowstone are amazing things to see. 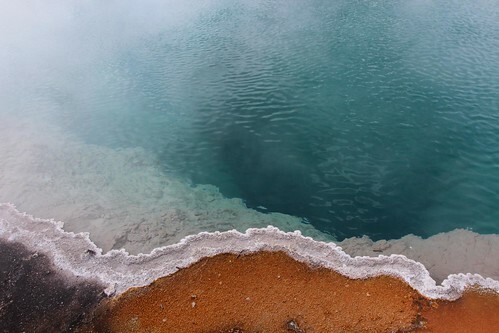 The temperature of the water causes all of the bacteria to die where it is hot but it promotes its growth on the edge where the temperature is just right. We could not see the entire park but I think we saw some of the most spectacular views in it. 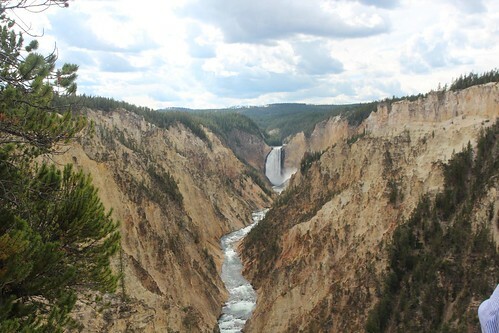 This is called Grand Canyon of Yellowstone. It is hard to convey the beauty in these photos but to see this in person is very awe inspiring. Before we make our way out of here, we got to check another animal off of our list. This is a bison who is just chilling on the side of the road. 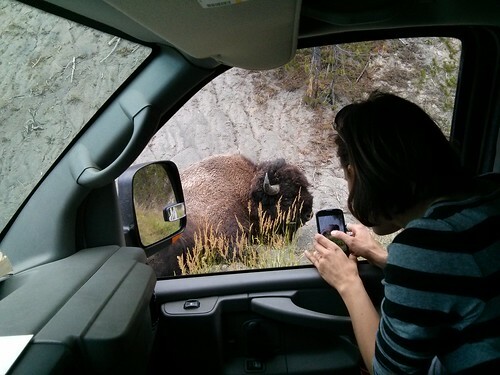 As you drive around Yellowstone, the chances of running into a ‘Bison Jam’ is pretty good. They roam freely around the park and from time to time they will need to cross a road. If you just happen to be there when a herd crosses, you can expect to sit and watch these majestic beasts for quite awhile. It will certainly delay your plans but not too many people complain about that. Except maybe the park staff. 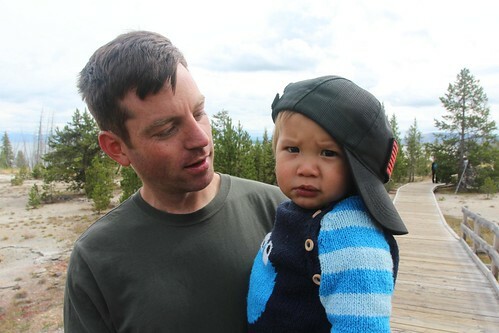 Tonight, we will make our way to Grand Tetons and settle in for the next couple of days at Gros Ventre Campground. 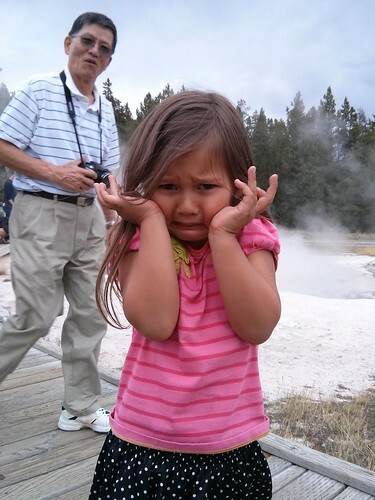 One Response to Days 39-40: Yellowstone National Park and a Tragedy. What a great vacation, and it’s cool seeing the kids getting involved. I have to wonder, though, if the settlers who first saw the sight thought it might have been a dragon!